Sometimes the most important thing is to decide what is the most important thing! We often wonder why we are not making more progress in our life. One reason could be because we have not decided what is of most importance to us. These days with social media, it is very easy to spend countless hours observing other people’s lives. That can be good and not so good. No doubt social media been brought the world to us. Communication is vastly different than it was years ago. We now have the potential to meet and form new relationships or friendships that would not even be possible in the past. That can all be positive. The down side or negative part is that we can get so caught up in other people’s lives and stories that we neglect our own life and our story. Every now and then, it might be beneficial to put down social media and take some personal inventory about your life and where you are headed. If we don’t know what is important to us or what matters to us, our life can be random and aimless. We can end up wasting countless hours on the unimportant. We can lose focus about our goals. We can easily become distracted and get involved in majoring on the minors in life. Better yet, if we are not clear about what is important to us, we can easily live out other people’s values. When we do not decide what it is that we truly value and what our priorities are, then we lack a road map for making good life decisions and choices. Rather our choices then can become random or based on our moods or emotions, popularity, other’s people’s opinions or circumstances. When we become value driven people, we make choices and decision on our core values and principles. Our values then become our gauge, our compass, our roadmap. 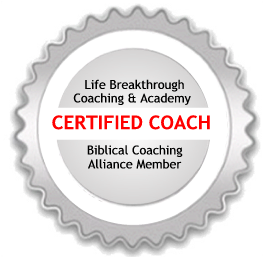 As a life coach, I spend time with my clients helping them to define their values. Why? Because our values provide the guard rail or road map to help us get in the right lane for our life and make better choices and decisions. Values provide the basis for knowing what to say “yes” to and what to say “no” to. They also become a guide that clarifies what decision to make when we have to make tough choices and decisions in life. The difference between having an exceptional and a mediocre life has a lot to do with values. In life and leadership, individuals that are clear about what they value and line up their life or business with those values end up accomplishing more and having greater success. Therefore, the most important thing is to decide what is the most important thing! What about you? How does your life and your choices reflect and honor the things that matter the most to you- your most basic core values? Be an exceptional person, a values driven individual!